There’s nothing like experiencing all this for yourself. The land, its history, its peace of mind and spirit that lies at the core of our “philosophy behind the food”. Complementing our range of Pure Food and Wines, we are associated with the Mt. Olympus Academy. The Academy develops and hosts a growing range of programmes, focused on improvement of the enterprise and the individual. 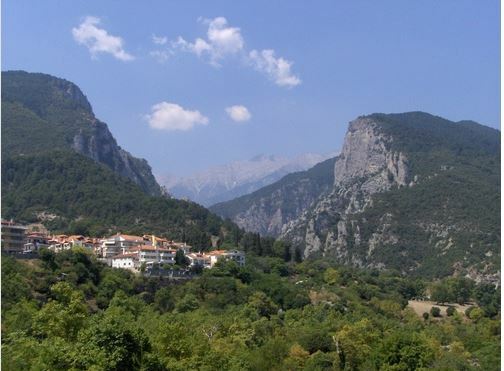 It’s located in the town of Litochoro, at the base of Mount Olympus itself, at the gorge formed by the historical Enipeas River. Litochoro also overlooks the beaches of the ‘Pieria riviera’. Delegates stay in a premium hotel within the old town and attend workshops in premises that sit right on the Enipeas itself (refurbished by end of 2013). You fly into the international airport of Thessaloniki and a private coach takes you south for around an hour to your hotel. In partnership with Mt. Olympus Academy, we have developed a unique educational and experiential programme that puts you in direct contact with the food, wine and spirit of this incredible region. 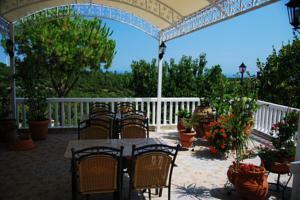 You dine in a traditional restaurant that sits together with the Academy on the banks of the Enipeas River. In the centre of the restaurant is an actual mill wheel, once driven by the river. Our local sales partner can provide you with much more detail of this unique experience and can make a reservation on your behalf.